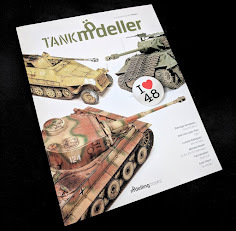 Recently the military armour world of modelling has been delighted by two kits amongst the many releases – firstly the fun to build and accurate 1/16th scale Panzer 38t from Panda and the Meng 1/35th scale French Ft 17(sic) tank. Both were well received and popular choices. 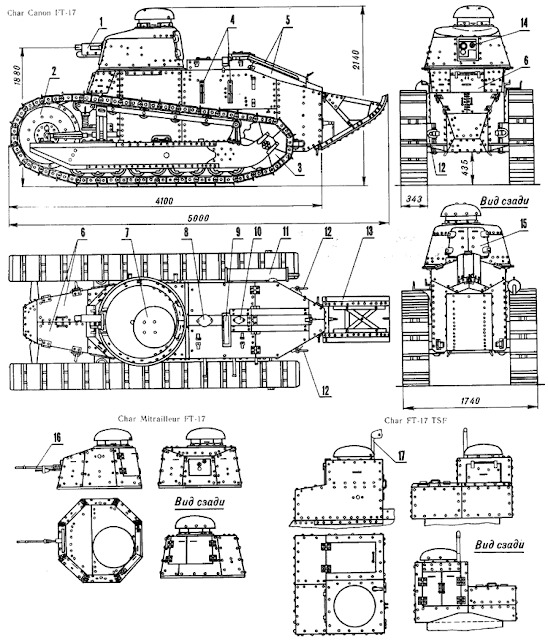 What if you could put the two together and make a large scale French Ft tank? 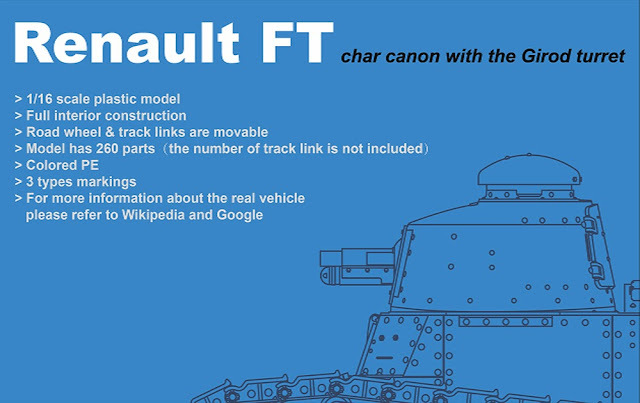 Well Takom looks to have the answer with their 1/16th scale Renault FT Char Canon with Girod Turret. Let’s have a look at the kit…. In recent times it seems like the adage of “it’s all been done” stands pretty true. 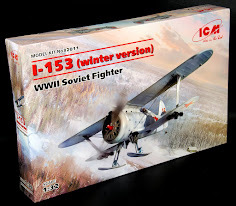 All of the Tigers, T-34’s, panzers and Shermans which normally dominate our workbenches have been kitted and re-kitted to the point of apathy to a lot of modellers. Manufacturers are refining the originals to the point of yet more apathy to their customers, now softskins, paper panzers and oddities, are all getting the new tool treatment, so where to go from here to secure a new market, different scales and different wars maybe? ….which leads to modern vehicles that have been kitted a lot recently, the Object 279 being a prime example of how far (3) model companies will go to secure an un-tapped project – OK then what about World War One? 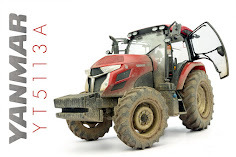 Enter new model maker Takom. 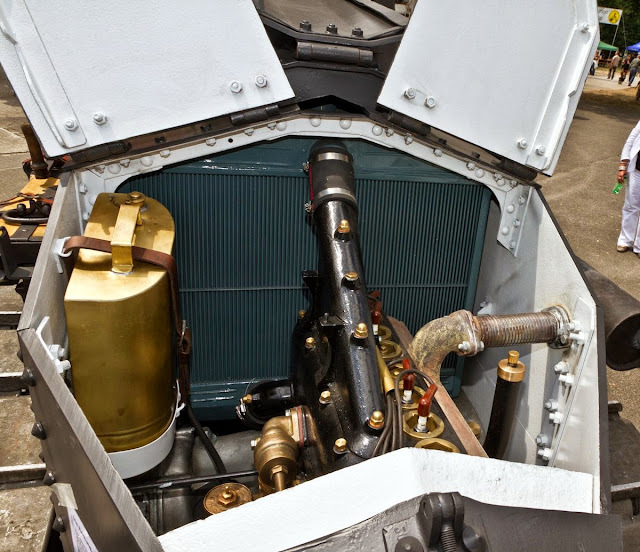 They have chosen a very popular and widely used tank – the French Renault FT tank. Not only a new kit but a new scale as well. 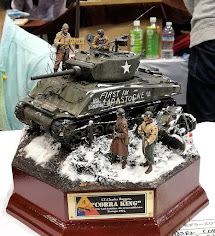 Smart thinking for a small tank in a larger scale – it will not dominate your workbench but it would also be an ideal choice for super detailing. 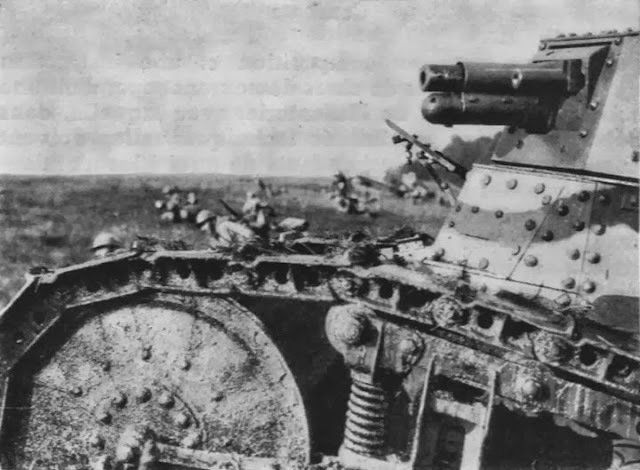 Often described as the first real modern tank – the Renault FT was designed and first produced in May 1916 by the famous car producer Louis Renault. 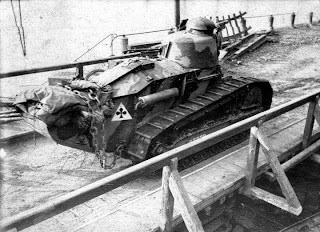 It had a fully traversable turret on top of a hull with tracks on either side of the hull. This is the design accepted as the norm for all tanks after it. 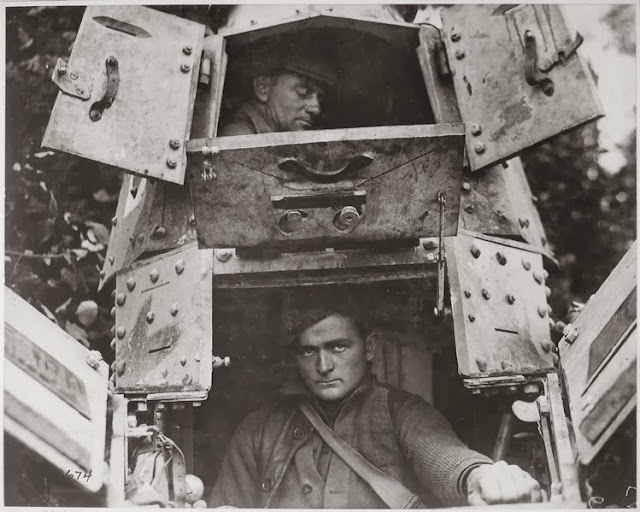 Seating two people inside – just the driver and gunner – this was a small tank, designed to be built in huge numbers to swarm the enemy. 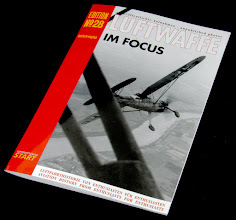 The FT served from the First World War right through to the inter war years with several countries from Brazil, Poland, Finland, Estonia, Lithuania, Yugoslavia, Belgium, while Czechoslovakia, Switzerland, Turkey, Iran, Japan, the Netherlands, Greece and Sweden and they were copied and altered slightly by Italy, USSR and the USA. The FT saw service right through to the re-taking of Paris by the Allies in 1944 when the Germans pressed captured examples – hopelessly outclassed by more modern tanks into vein service against the Allies. There are even pictures on line of four Ft’s in Afghanistan that were discovered in-tact and then restored in 2003 so they were built tough. The FT was produced in many different variants featuring several different configurations and weapons. The "female” machine-gunned variant, which took up 2/5ths of the production while most of the rest were the "male" tanks, armed with a short-barrelled 37 mm (1.45 in) Puteaux SA-18 gun. It is this “male” combination with the Girod Turret that we have here in this boxing. The kit comes in a large white box reminiscent of the Tamiya kits which is exactly the same size as the Panda Hobby Panzer 38t in the same scale, this kit’s box is quite full of nine maroon coloured sprues which make the majority of the kit, four dark grey plastic sprues that form the tracks, one sheet of Photo Etched metal which has been anodised in a similar maroon to the sprues as well as a length of black chain, a small decal sheet and a fourteen page landscape layout black and white instruction booklet. 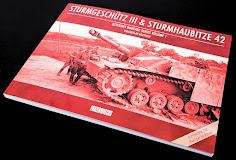 The instructions: an attractive glossy blue cover with the line drawings of the profile of the tank and a brief introduction which is normally inside the pages, once you open up the booklet there is a nice “thank you” message for the help received which is very nice as well. Some cute hand drawings educate the uninitiated about modelling and then we are onto the instructions. There are fourteen pages with thirty-eight steps showing the steps to building the kit. In black and white paper they are easy to follow and uncluttered in their layout. Often new model companies have some problems with their instructions but these are very good. 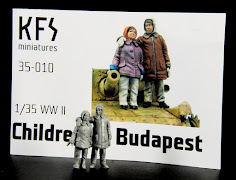 Colouring instructions are given in the “XF” range of Tamiya colours. The dark red/maroon shades of the injection moulded plastic is unusual but on these and the grey track sprues there is almost no extra material left in the way of flash and the nodes often hanging onto your parts with modern kits are only occasionally seen. There is some nice detail in the casting letters and the plaque on the side of the hull but unfortunately in the places you would normally see some texture – the cast turret, the hull and rougher steel parts in that scale do deserve some texture. I suppose the good thing is you can do it yourself – and there never seems to be a happy consensus on surface texture anyway. Photo Etch Sheet: This maroon coloured and textured sheet is one of the oddest I have come across in a fair while – it is already anodised so I would think the paint would go on to it without primer – here is hoping there are no cracks when this is bent and that the paint holds super glue! 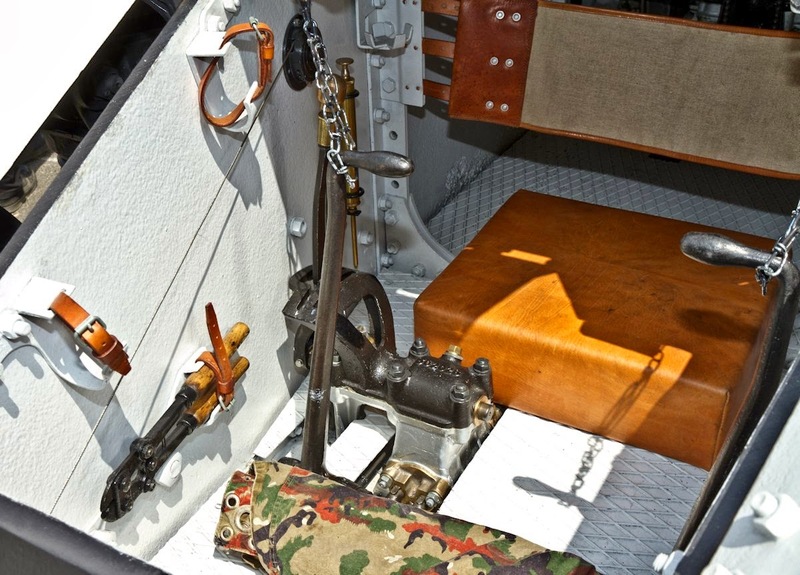 These parts (“TP” on the instructions) are used spread around the vehicle but the largest are there to make the driver’s back rest on his seat and, his foot pedals and step ledges with a rough non slip texture on the sides of the hull and other fine details. Seeing these aren’t really that thin one might be excused for making them in plastic? The chain: There is a black length of chain here which I thought at first may be a little overscale – but it is “better looking at it than for it” meaning that it’s good to have over thick chain than not or a weaker chain. 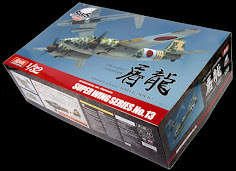 Looking at the plastic and the instructions I see that this kit reminds me very much of the Meng kit but larger in scale, And this my friends is a very good thing – as that is a superb little kit – let’s go thru the sprues now to see the things we noticed.. There are two sprues that contain all the parts that revolve on this tank (apart from the turret of course.) They include the large wooden idler wheels that get your attention right away. These are made up of two halves joined vertically. They have some fine bolt detail on them but alas again no surface detail on the wood they are made up of. I can see many modellers making these look a bit beaten or scratched up. It would have been very nice to have these with some texture. 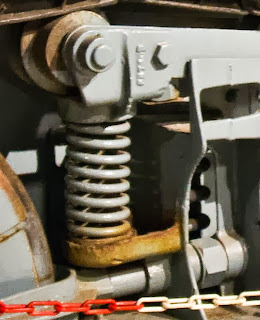 The idlers are house in a large “Y” shaped fork with some springs that act as suspension on that arm. 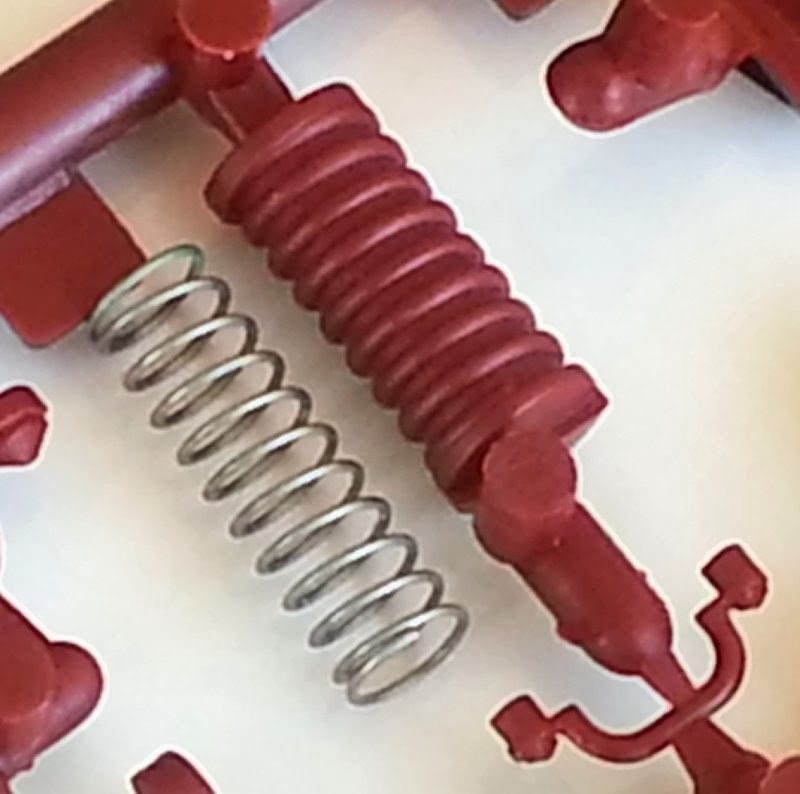 These springs are not moulded very realistically as they are a solid looking block with spring like texture on them. I would like to replace these with a bit of spring that looks realistic in this scale. It should be easy to find as well, as it is about the size of spring you may find in a pen. By chance I picked up a spring I found and it pretty much matched exactly what I needed. This is the fix I would use here. 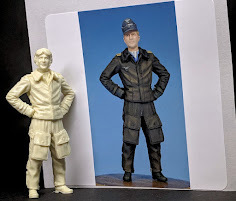 Interestingly you do not start with the running gear on this kit in the instructions – it is later on in the build at step 27 – almost halfway thru that they are called for. The left and right sides however can be assembled separate to the rest of the tank for painting and weathering at any time. There are also several large shackles and handles on this sprue which match the scale quite well. 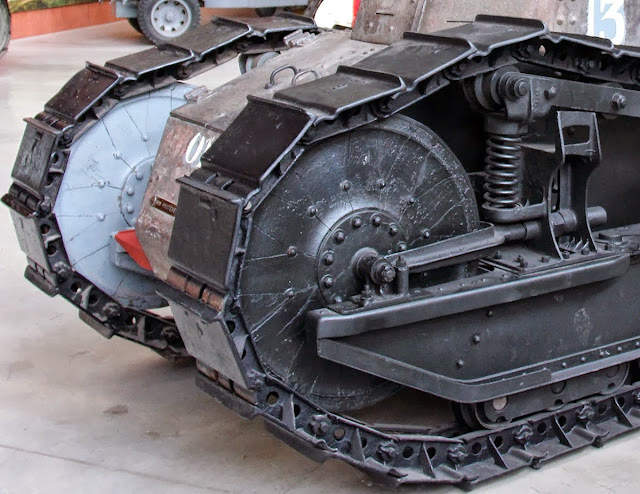 There are thirty two track links for each side which make up the running gear of this tank. 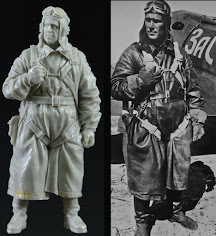 (Meaning you will have some spares) - Moulded in Grey plastic they are incredibly simple to put together. There are very fine ejector pin marks on the insides of the tracks but you will not see these once they are put together. 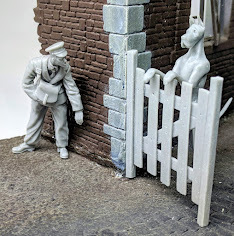 A very nice addition to these sprues are spare rivets which you carve off and use on the turret join where the injection moulding process has not allowed for these rivets to be included. The tracks simply click together with the two brackets running inside the pads. This enables them to move freely and bend as they should. This is an easy and quick method that I am sure will make a lot of modellers who don’t like making tracks! Sprue C & D: Hull sides, engine & suspension. Engine parts & sponsons. These sprues – almost identical to each other - are by far the largest of the lot on this kit and with good reason- dominated they are by the hull sides which have riveted detail both on the insides and outsides. The inside bolt detail is of the nuts and the outside are the round head coach bolt style. 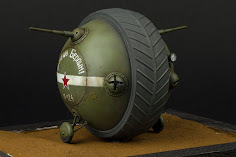 I have found pictures of this tank using both these round head and hex- bolt styles so I suppose it is check your references time. I have found more with the coach bolt round/pointy headed bolts like in this variant below. There are some push circular marks from the ejector pins on the insides of the hull in places where it isn’t too hard with a thin sanding stick to get rid of them. A good thing about the moulding here is there are no seams down the middle of the top of the leaf suspension – there are lines on the undersides but none visible on top. Takom did think hard when engineering this kit it seems. These two nearly identical sprues house the flywheels and clutch and brake parts which are visible and add some authenticity to the insides. These along with the full internal (but basic) structure make this a potential show stealer if detailed and painted up just a little. Nice to get some detail in are the two sponsons which are on these sprues. 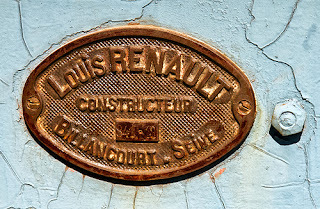 They have the stamp of Louis Renault’s construction badges on the left suspension side bar. This detail will be a focal point of the kit along with the weathering of the sponsons and tracks and cast letters on the turret. A part of both of these sheets are the long trench crossing “tail” parts as we last the engine covers which open or close. There are some slight ejection pins here on the inside again but a quick sanding will fix these. Hey that is modelling! Sprue E: underside & internal cab floor, radiator, exhaust & Turret ring. This sprue has a very nice looking floor which is detailed with both rivets and an access/escape hatch on the underside which is especially advantageous to show the vehicle rearing up as often seen in pictures. The inside of the hull floor is shown her with some ejector pin marks – but these are covered over by the very nicely textured grated floor. The top rear of the hull is here in one piece – saves gluing and any mess. The round exhaust is here in two parts as well as some nice details of rivets on the hatches. The parts of this sprue are mainly concerned with the Renault 4-cylinder 4.5 litre engine in full, along with the transmission and crew controls. There is a spare shovel – barrel rammer and pick which is good because in this scale there isn’t much aftermarket going on! All this engine needs are some wires added by the modeller to detail he engines and it will build up very nicely. Parts that could have been moulded in two halves are rightfully made from single parts – eliminating seams and sanding. I really like this engine I think it will look great with some weathering. On this sprue are all of the bits you need to make the turret of this tank. It is smart to keep these parts separate as maybe sometime in the future we may see a machine gun armed turret – fingers crossed! On this sprue you will find a two racks of ammo storage (but no ammo alas) for this tank as well as the doors of the rear of the turret which open outwards and the full cupola as well as the square mount that the gun sits inside and pivots on. 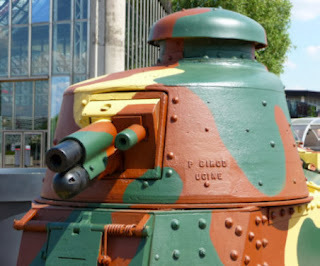 Very visible on the turret are the cast letters “P Girod” - this is who manufactured this tank, and “Ugine” which was the factory where it was cast. You can see by the example next to it that this was easily picked out and it will come up well when highlighted on your tank. 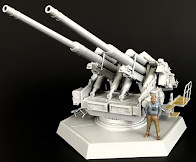 Sprue H. Ammo racks/ armament. 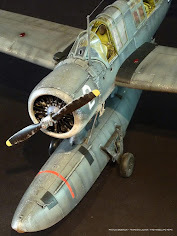 This sprue is primarily the 37mm gun and ammunition racks for the cabin under the turret. The 37mm Puteaux gun is seen here in both halves (as well as some extra parts which allow you to make an extra gun if so inclined!) are here - again it would have been nice to have some ammo to go in the tank. The three marking choices are shown in black and white but with Tamiya colour references as we mentioned earlier. It would have been nice to see some more detail of the camo of these as it is quite hard to source the exact detail on such old vehicles with relatively little period pictures to go on. The decals themselves are very sharp in register and the white is strong. A nice addition in this scale would have been the instrument dials inside an open vehicle. 3/ Polish Tank Corps - 'Passe Par Tout', 1st Co., 2nd Section, 2nd Bn., 1st Polish Tank Regt., 1920 - a post war scheme. 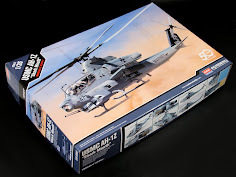 Well there you have it – a very easy to build, small-but-large kit that has plenty of options to super detail and weather. 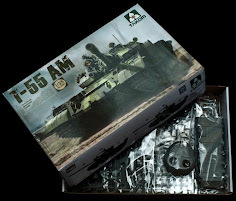 Some surface detail to add and some springs to add or construct from wrapped wire will leave you with a truly lovely and colourful tank that will be really popular when seen by other modellers and by the look of it a satisfying kit to build.